Let hope be your umbrella in the fight against cancer! Stop by to admire and bid on one-of-a-kind artbrellas created by Belmont Village residents, local organizations, youth and Westlake businesses. 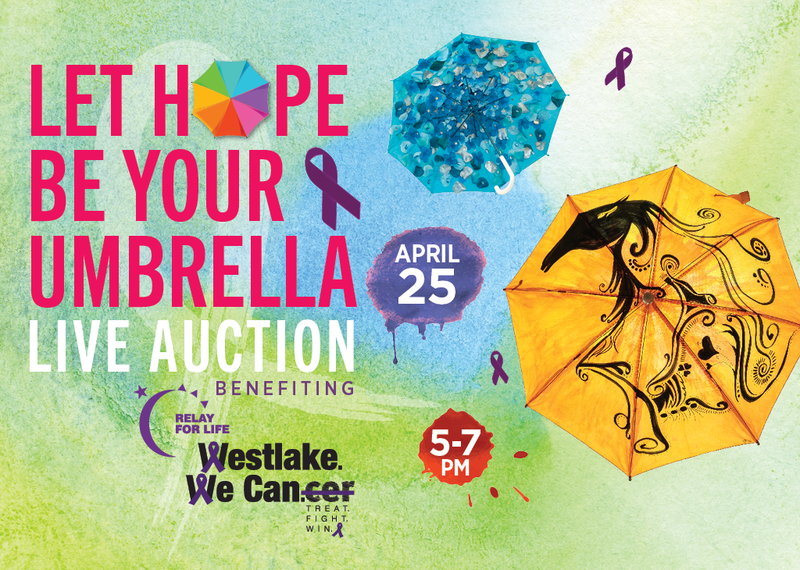 100% of the proceeds from the auctions benefit Relay For Life Westlake in support of the American Cancer society. Join us in the fight — together we can win! Beer, wine and hors d’oeuvres will be served. RSVP to Jamie Smithson at 512-348-3318.